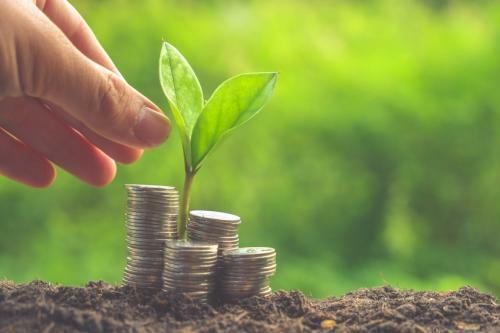 A new report released by the Asian Development Bank says that countries in the region are to gain from transitioning to a low-carbon economy. If uncontrolled, climate change may lead to economic loss equivalent to 10% of GDP in 2100, reversing many hard-won socioeconomic gains in the region. “Developing countries in the region could reap outsized rewards as an essential player in the global effort to contain climate change,” the report says. Success of the Paris Agreement, which will be ratified by India on October 2, depends critically on developing Asia, the report adds. Emissions from the region have risen rapidly from 25 per cent of the global total in 1990–1999 to 40 per cent in 2012. Without strong climate policies, the region will generate nearly 50 per cent of all greenhouse gas emissions by 2030, and these emissions will double in volume by 2050, as per the report. Fossil fuels are responsible for two-thirds of Asia’s carbon emissions. The transition to low-carbon economy, says the report, should begin from the energy sector. Developing Asia needs to invest US $300 billion per year on clean energy through 2050, as per estimates. “Reduced investment in fossil fuel extraction can offset 20 per cent of this cost. With timely investment redirection, the region can avoid locking itself into a high-carbon development path that would be costly to reverse,” the report says. Growth is expected to stay high in financial year (FY) 2016 in India, as consumer demand grows due to increase in wages. on the strength of robust consumer demand from a general increase in wages that offsets a slowdown in investment. GDP growth moderated to 7.1 per cent year on year in the first quarter of FY 2016 from 7.9 per cent in the fourth quarter of FY 2015. Private consumption growth decelerated to 6.7 per cent, likely weighed down by poor rural demand after two consecutive years of weak monsoons. In contrast, government consumption recorded its highest growth in 7 quarters, reflecting high current expenditure, marks the report. Growth in services strengthened to 9.6 per cent, largely reflecting strong growth in community, social, and personal services, it adds.